Bali Indonesia beaches In Jembrana District - Bali is Indonesia's most famous tourism prima donna worldwide. Besides famous for its natural beauty, Bali is also famous for its unique and interesting art and culture. Besides having beautiful and exciting beaches like Kuta Beach, Sanur Beach, Padang-Padang Beach, Lovina Beach and so on, Bali also has beautiful and interesting beaches in Jembrana District which are worth your visit such as Medewi Beach, Beach Pengeragoan and so forth. Here 5 of The Most Beautiful Beach In Jembrana Island Bali Island Indonesia is worth your visit while on vacation to the island of Bali. 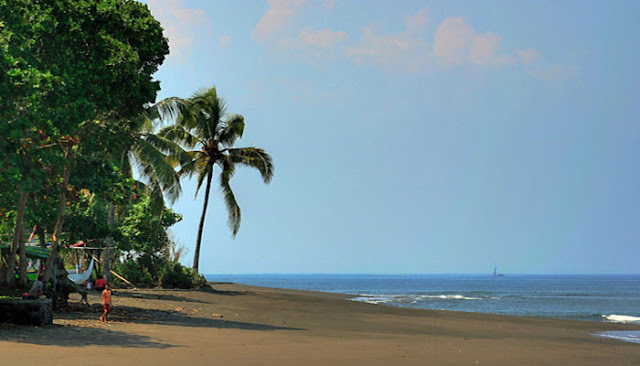 Baluk Rening Beach is a place of interest in Bali, one of the interesting beaches in Jembrana regency of Bali island which is obligatory for you to visit. 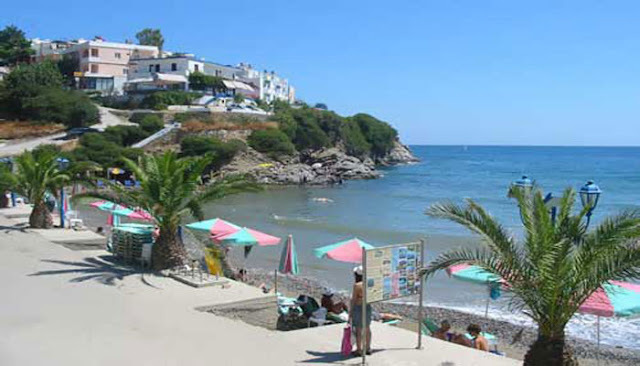 The beach is located about 10 kilometers to the west of the city of this country is always crowded in visits by foreign tourists and tourists archipelago. Black sand beach with the waves are quite calm is very beautiful to enjoy the morning and evening that is enjoying the beauty of sunset and sunrise with a mountain background. 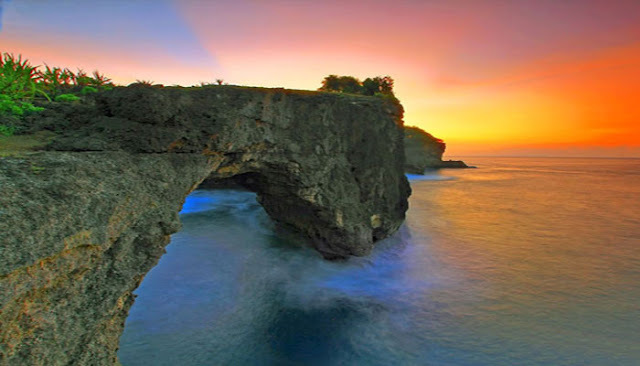 In addition to the beach Baluk Reining also more interesting with the cliffs along the beach is high enough that will add to the beauty of Bali beach view in Bali south. 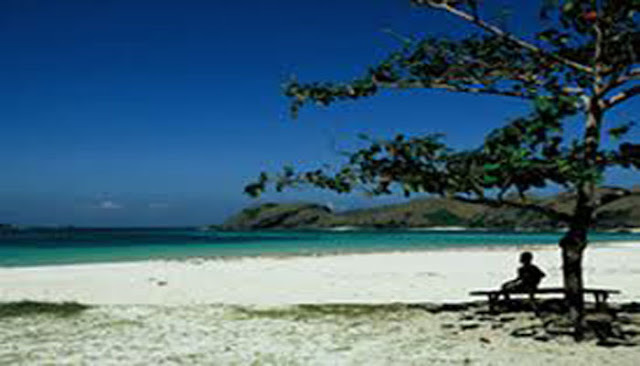 Pengeragoan Beach is one of the Most Beautiful Beaches in Jembrana Regency of Bali Island visited by many tourists. The beach is located in Pengeragoan Village, Pakutatan District, Jembrana District, Bali Island. Medewi Beach is one of the best beaches in Bali and interesting beaches in Jembrana regency that you deserve to stop by while on vacation in the island of Bali. This beautiful beach with its charming coastline is located in Medewi Village or 24 kilometers from the state city or about 72 kilometers from the capital city of Denpasar. Besides having beautiful and charming beach scenery with clean sand and crystal clear sea water, Medewi Beach is also suitable for you to surf or surfing activities with long waves and long new broken according to the desired surfing, so it is great for a Bali beach vacation. In addition to Medewi Beach, you can also enjoy the beauty of sunset at dusk with hotel facilities are quite preventive equipped with swimming pool and restaurant are arranged quite artistically. Perancak Beach is one of the Most Beautiful Beaches in Jembrana regency of Bali Island that is worth your visit while on vacation to the island of Bali. With beach lips decorated with fishing boats is a beauty for you to enjoy with friends, friends or family. In addition to having the beauty of a very charming beach, Beach Perancak also facilitated by the Circuit Motor Cross and Road Race, so it is suitable for your vacation to unwind and forget the routine of daily work. Besides that, there are also sea turtle conservation place "Kuma Asih", Marine Technology Research Center, NOAA Earth Station (National Oceanic and Atmospheric Administration) that serves to determine the points of sea fish that are monitored from satellites and water distillation sea into high-oxygenated mineral water that is Megumi. so it becomes a place of bali recommendations during the holidays. The next Bali Indonesia vacation is Candikusuma Beach is the Most Beautiful Beach in Jembrana regency of Bali Island which is obligatory for you to visit. The beach is located about 12 kilometers to the west of this State City is one of the tourist attractions in Jembrana District is quite good and interesting for you to do bathing and swimming activities. 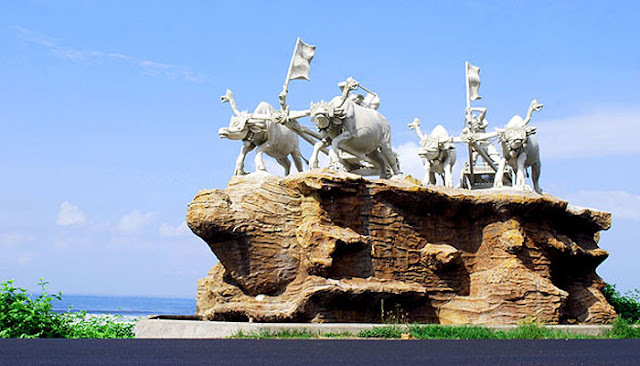 On this beach, there is also a historic relic of a temple called Temple Kusuma in the form of a monument that purportedly ever came out a keris that emits light. This tourist attraction is also often used as a place to finish Jukung Layar Competition which is usually held on every August every year. In addition to you lovers of fishing, Candikusuma Beach is also often used for fishing activities. Well, that's Bali Indonesia beaches In Jembrana District is worth your visit while on vacation to the island of Bali, Indonesia.